Legacy: Reflections on Mabo celebrates the man behind the game-changing Native Title Act, Eddie Koiki Mabo. Co-curated by Gail Mabo, Dr Jonathan McBurnie and Kellie Williams (Director of Umbrella Studio), the exhibition brings together a selection of over 20 works by Indigenous and non-Indigenous artists in the spirit of reconciliation, twenty-five years after the historic achievement. Each artist has responded to an aspect of Eddie Mabo that they are drawn to, whether it is his life, politics, activism, or legacy. The works come together in surprising ways with reverence, compassion, anger, sadness and respect, celebrating a man who was both a rebel and a dreamer. Artists include: Blak Douglas and Adam Geczy, Elisa Jane Carmichael and Sonja Carmichael, Toby Cedar, Dian Darmansjah, Katina Davidson, Shane Fitzgerald, Hayley Megan French, Marion Gaemers, Patricia Hoffie, David Jones, Ian Kaddy, Talitha Kennedy, Jo Lankester, Veronica Lulu and Kim Mahood, Ron McBurnie, Arone Meeks, Jim Paterson, Tommy Pau, Obery Sambo, Anneke Silver, Ken Thaiday Sr. and Judy Watson. Legacy: Reflections on Mabo is an initiative of Umbrella Studio Contemporary Arts, co-curated by Gail Mabo, Dr Jonathan McBurnie and Kellie Williams and toured by Museums & Galleries Queensland. This travelling exhibition is supported by the Visions regional touring program, an Australian Government program aiming to improve access to cultural material for all Australians, and by the Queensland Government through Arts Queensland. 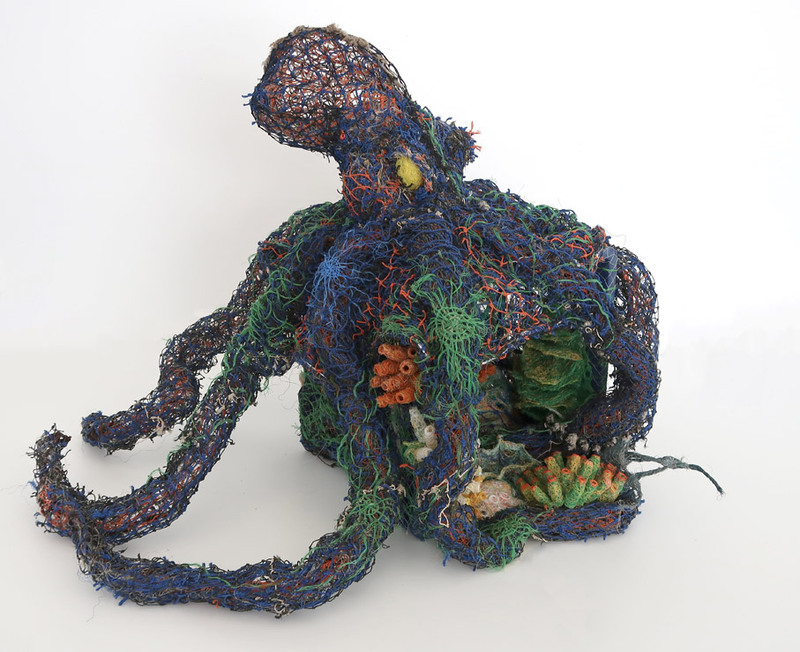 Image: Marion Gaemers, Belonging 2018, recycled net, beach rope and plastic crate. 81 x 64 x 76cm. Courtesy of the artist.